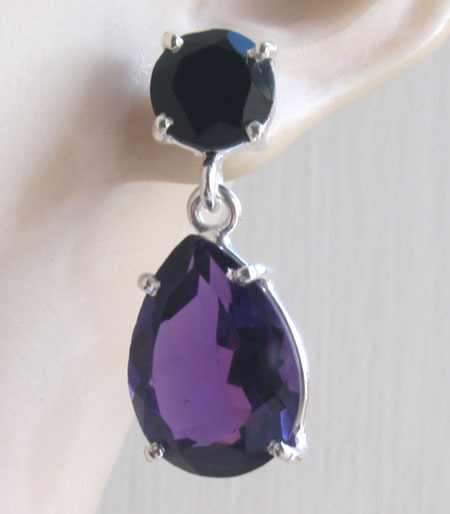 Amethyst and black onyx stud and droplet earrings. 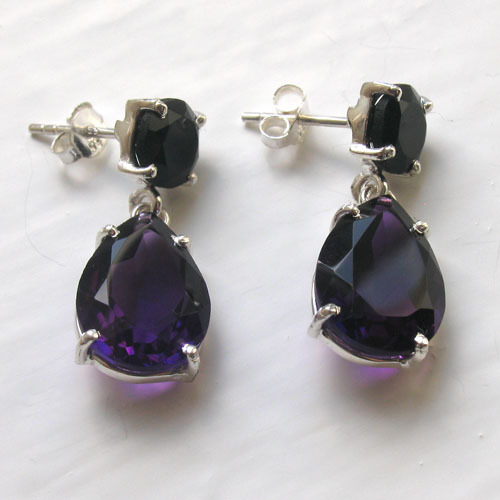 These gorgeous earrings fasten into your ear with a post and butterfly fastener behind the black onyx gemstone. 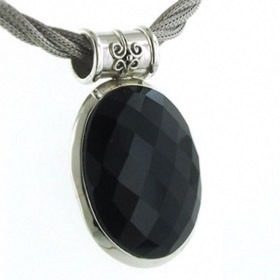 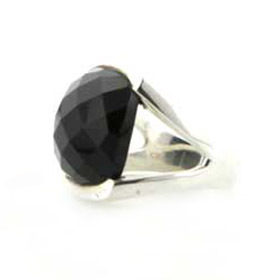 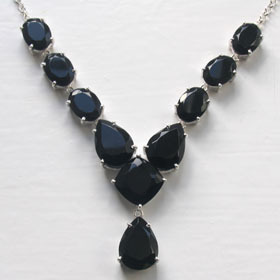 This is a faceted round black onyx stone claw set in sterling silver. 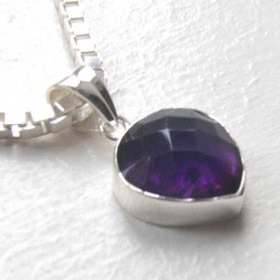 A superb amethyst pear droplet falls from this stone. 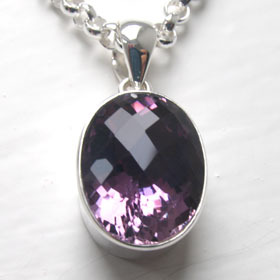 This is a deep purple, flawless amethyst which is diamond cut and glistens and sparkles from every angle. 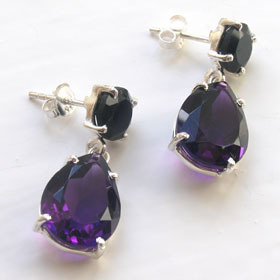 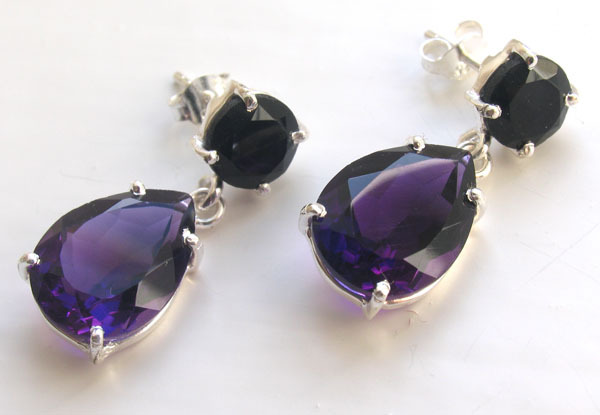 These amethyst and black onyx earrings are sure to hit the spot! 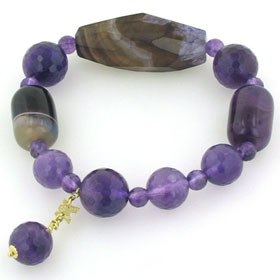 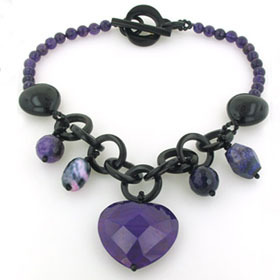 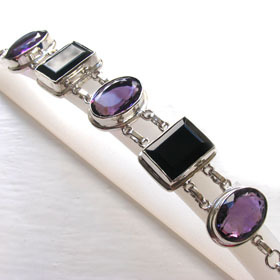 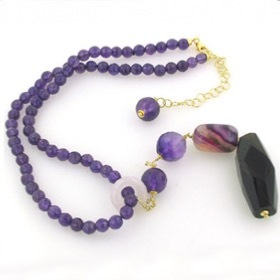 See our amethyst and black onyx bracelet, Lola for a matching set. 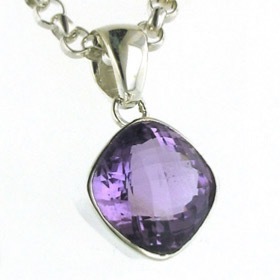 Amethyst is the Birthstone for February - see all our amethyst jewellery.